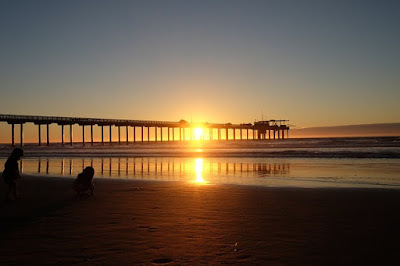 The coastal city of San Diego is a popular destination for travelers the world over taking respite from the usual humdrum of their rather stressful urban life. Compared to its US cities contemporaries, it is more relaxed and is just about perfect for those who would love to take a break, take it easy, and enjoy a bit more of life. It is also a top choice for vacationers for its mild Mediterranean climate. Located right on the Pacific Ocean, this Southern Californian city is not just an ideal travel option for those clamoring for awesome beach or sea adventure. In fact, there is a wide variety of enjoyable and entertaining activities that any type of traveler can choose from. Depending on whether you would like to stay for a couple of days or rent one of those vacation homes in San Diego so you and your family can stay for a week or longer, you will never run out of exciting and exhilarating things to do in this beautiful city. It offers a diverse cacophony of attractions and destinations for travelers of different ages and preferences. There are also many options for those who are traveling with children. It will also prove useful to note that San Diego also celebrates its annual Kids Free October promo, where children can enter most attractions free of charge if accompanied by adults. This will give parents, especially those with more kids, more value for their travel money. San Diego’s rich and beautiful culture is best captured by its many museums scattered like lovely mushrooms around the city. Whether you are traveling with an art connoisseur or impressionable little children, there is bound to be a museum that you all can both agree to check out. For someone who appreciates architecture and engineering, you can bring him to San Diego Modern Railroad Museum while you can bring the little boy who is fascinated with planes and aircrafts to the San Diego Air And Space Museum or the one most enamored to cars to the San Diego Automotive Museum. Children will also have lots of things to marvel at over at the New Children’s Museum or the San Diego Children’s Discovery Museum where they can participate in colorful and fun art or educational activities. Museum of Man, on the other hand, offers more exciting activities older kids are bound to love, like learning to wrap a mummy, dressing up as a pharaoh, or climbing up the California Tower. There are also a few art museums you can visit while in San Diego and you can start by visiting the biggest one in the region, San Diego Museum of Art. You can then proceed to the San Diego Art Institute and the Museum of Photographic Arts afterwards. If you all had enough of the usual museum fair, you can always check out the USS Midway Museum, a serving aircraft converted into a popular maritime museum. Kids of all ages, along with the kids at heart, will have the time of their life trying out one of the 2 flight simulators available and examining the many restored aircrafts on exhibit. There is a huge assortment of outdoor adventures one can choose from while in San Diego. Where you are a family who loves to enjoy a quiet afternoon and a picnic at the park, or a family who loves more exciting activities, you will never be disappointed in visiting San Diego. For those who opt to visit the parks, you can start by traversing the historic landscape of the Old Town State Historic Park to discover old Spanish establishments and captivating Victorian Homes restored to their former grandeur. Witness a piece of history when San Diego was discovered by a European expedition when you visit the Cabrillo Park and National Monument. Should you decide to visit during winter time, who knows, you might even get lucky and spot a couple of migrating whales. The flower field at Carlsbad is also a great attraction in San Diego and everyone will appreciate the beauty of many flowers in bloom against the equally lovely ocean backdrop. There are also numerous activities you can do here that kids of any age will enjoy. 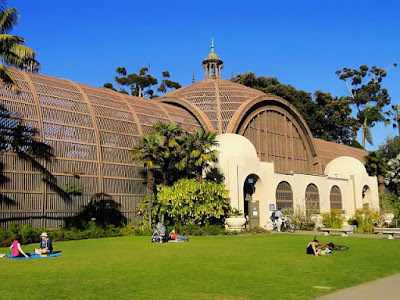 Balboa Park is an entirely complete attraction all its own, housing a few museums and a host of other attractions, the whole family can spend an entire day here without running out of things to do. You can skip the museums and proceed to the Botanical Building, a historical building that houses different plant species as well as a lily pond. You can also find many scenic gardens in this park, where the family can stop and enjoy a picnic or take beautiful photos with the lovely blooms in the background. For the animal lovers, you can never leave Balboa Park without visiting the San Diego Zoo, home to an enormous group of animals, including rare and endangered species and big group of the ever lovable, giant pandas. The zoo is a massive place and you can have hours and hours of fun observing the animals in their habitat, enjoying the beautiful exhibits, and spending long periods of time under the sun. After spending the entire day outdoors, you can cap the night by enjoying a play at the Old Globe Theatre, a replica of the Shakespeare theatre found in London. You can also let the kids see other children perform at the San Diego Junior Theatre or enjoy a puppet show at the Marie Hitchcock Puppet Theater. Make sure to stop by the Spruce Street Bridge before leaving. More of a neighborhood secret, the age-old steel cable suspension footbridge has grown to be a popular attraction in this side of San Diego. It is quite an adventure to traverse it and walk right through the tree tops with the family. Being a coastal city, San Diego is most famous for its attractive beaches and the many wonderful water activities it offers. Offering not only a breathtaking view of the beautiful ocean, there are also lots of activities to do with the family at the ocean-side. 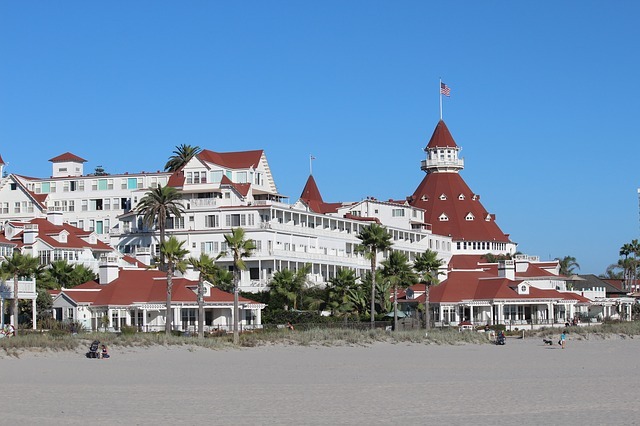 The children will enjoy playing in the calm waters of Coronado Central Beach. You can also tag them along for a kayaking adventure, swimming with leopard sharks, or a sea cave tour at La Jolla Shores Beach. You can also let the kids learn to surf at Pacific Beach or enjoy other beach adventures at the Moonlight Beach, Mission Bay Beaches, or Del Mar Beach. If you are visiting during winter, the family can also enjoy winter tide pooling or whale watching at Torrey Pines. There are a few tours in San Diego that you can participate in with your children. Start by signing up the family for the San Diego Seal Tours, where you will ride an amphibious vehicle for 90 minutes, enjoy a tour around the scenic spots in the city, and then submerge into the San Diego Bay to see the seals. The Old Town Trolley Tours is a great way to navigate around the city and something that the kids will also absolutely enjoy. You can book for a tour and have a sightseeing adventure from La Jolla to Old Town.